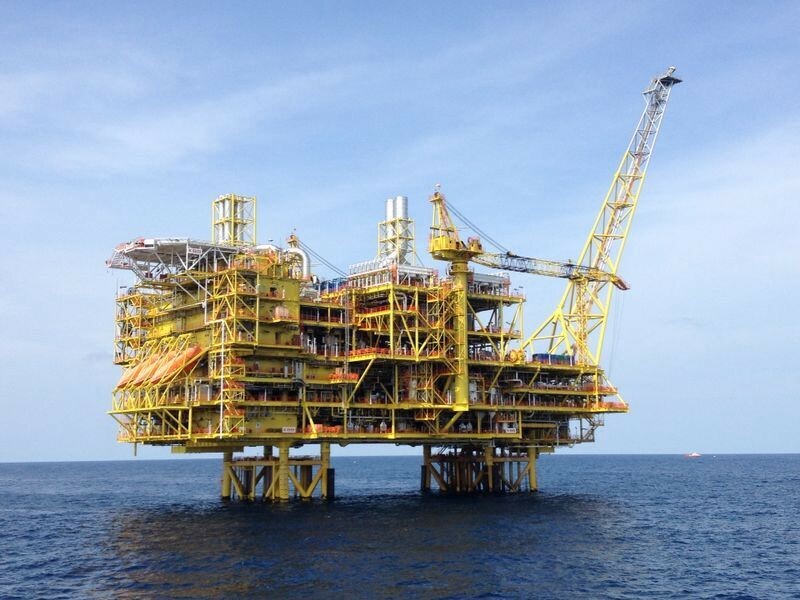 First gas was achieved at Kebabangan in November 2014. The KBB Cluster PSC was signed in 2007 for appraisal and development of the Kebabangan, Kamunsu East and Kamunsu East Upthrown Canyon gas and condensate fields. Development of the Kebabangan Field was sanctioned in early 2011, and first production was achieved in 2014. The Kamunsu East Field was successfully appraised in 2013. The Gumusut-1 well was drilled in 2003 and resulted in an oil discovery. The field was successfully appraised in 2004 and 2005. First production from an early production system began in 2012. Offshore installation of the permanent, semisubmersible floating production system (FPS) was completed in 2013, and first production through the FPS commenced in 2014. 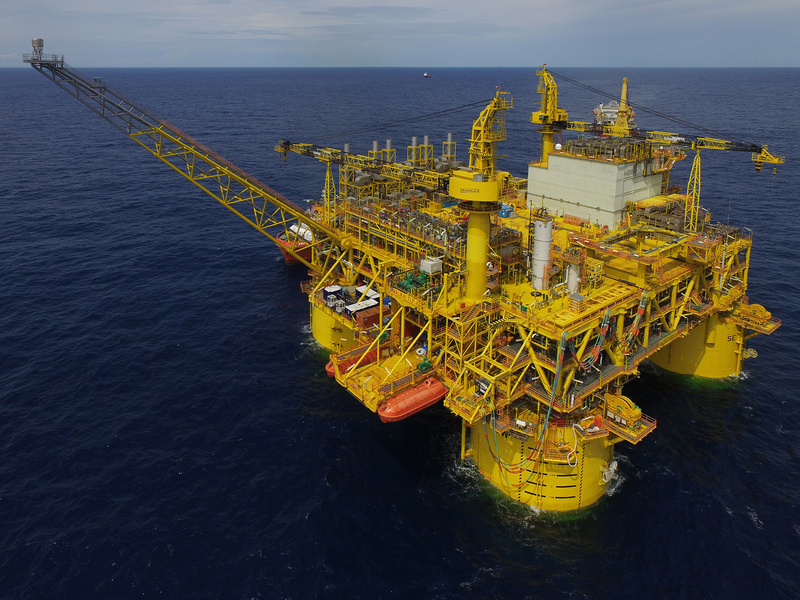 Offshore commissioning and production ramp up were completed during 2015. Gumusut Phase 2 infill drilling is planned to begin in 2018. The Gumusut Field was unitized with the Kakap Field in Block K in 2006. Unitization of the field with Brunei was first recorded in 2014. The company’s ownership in the Gumusut field is currently at 29 percent following finalization of the unitization with Brunei in November 2017 and a redetermination of the Block J and Block K Malaysia unit in 2017. The Malikai Platform began production in December 2016. The Malikai-1 exploration well was drilled in Block G in 2004, resulting in an oil discovery. The Malikai discovery was appraised in 2005 and 2006. First production from the field was achieved in December 2016 via the Malikai tension-leg platform. The Petai-1 well was drilled in 2007, resulting in an oil discovery, with additional drilling completed in 2008. The Petai and Siakap North Field, in Block K, was unitized in 2011, with ConocoPhillips holding a 21 percent initial interest in the unit. First production from the SNP Field began in 2014. In January 2017, ConocoPhillips was awarded operatorship of this 629,000-gross-acre exploration block offshore Sarawak. The block includes the Salam-1 oil discovery. A 3-D seismic survey was completed in 2017, with drilling of an appraisal and an exploration well planned in 2018. Block SK313 is a 1.4 million-gross-acre exploration block offshore Sarawak. In 2017, ConocoPhillips acquired interest in and operatorship of the block, participated in the Sadok-1 exploration well and completed a seismic survey of the block. In November 2013, ConocoPhillips was awarded operatorship of this 480,000-grossacre exploration block offshore Sarawak. The company completed a seismic program in 2015. The Langsat-1 exploration well was drilled in 2017.